While designing the Lace Collection for the Circle, Square, Swag and other stencils, Kat cleverly made 'Lacelets' - small elements of the lace flowers which she 'stitches' together into stencils for cookies and cakes. One example is the Lace Dress cookie shown below. The outline of the dress cutter* was used to house the Lacelets and a stencil was cut after the design was checked against the cutter. Having these Lacelets ready and available means Kat can 'stich' together a custom lace stencil for any cutter. 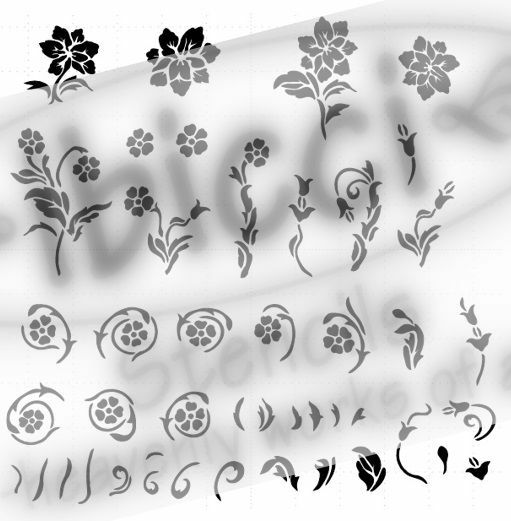 Once the design has been drafted, a photo of the stencil is sent to the requestor who can check the design by holding the cutter up against the pc/laptop screen. This eliminates receiving a stencil in the wrong size! 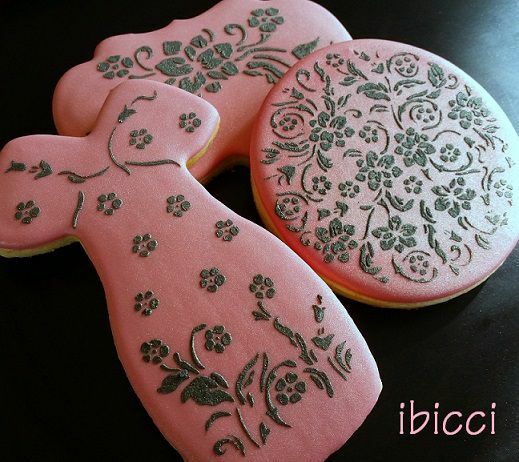 If you are interested in having Custom Lace stencils created, say for Birthday or Mothers Day cookies or a special Cake, please contact us.